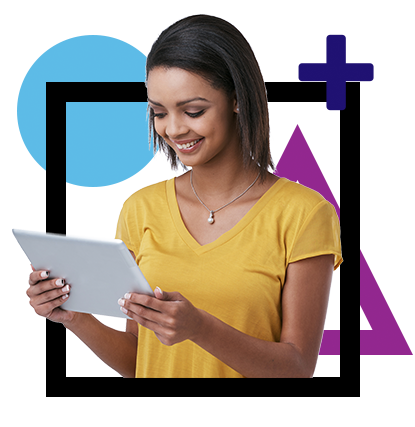 ​Our brand-new, 24/7 digital Sample Center contains everything you need for a full and detailed review of the Carnegie Learning Math Solution. Our solutions meet ESSA (Every Student Succeeds Act)'s Level 1 "Strong Evidence" standards, and our middle school math solution is EdReports’ highest rated blended solution. An independent study by the RAND Corporation, with the U.S. Department of Education found that our blended approach nearly doubled growth in performance on standardized tests in the second year of implementation. Get to know Carnegie Learning and all of the resources it offers, and experience what a LONG + LIVE+ MATH classroom looks like for both an educator and a student. Get to Know the Math. Take a deep dive into all of the teacher and student materials for each course - both print and digital. We work hard to make sure that all of our content is extensively aligned to the educational standards in your state. The right resources for better math learning. Consumable Student Edition The primary digital or print classroom resource. Our consumable, write-in textbooks let students show their work directly on the page as they learn, creating a record of their learning as they go. They’re also available digitally, as interactive eBooks and PDFs, in both English and Spanish. MATHia Software 1-on1 math coaching technology. MATHia doesn’t just track what questions students get right or wrong – it studies how they tackle each problem, adapting to their individual approach and building an ongoing, skill-by-skill model of their thinking. It’s the closest thing out there to a human math coach for every student. For those not using MATHia, Skills Practice provides targeted practice of the skills and mathematical concepts from each topic of the Student Edition in book form. The Teacher’s Implementation Guides include introductions to the math in each topic, pacing support tools, suggestions for grouping students, and recommendations for how to connect group and individual learning. Digital access to the instructional materials, along with pacing tools and additional notes, is available through Lessoneer, powered by EdCaliber. 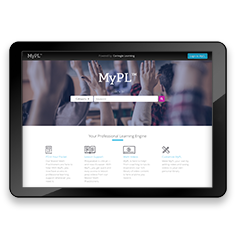 MyCL portal provides a simple-to-use platform from which educators and administrators can access all of their Carnegie Learning products and resources. MyCL empowers teachers to access all text materials, customize curricula sequences, manage classes and student accounts, and access real-time reports with actionable insights into how their students are progressing, skill by skill. 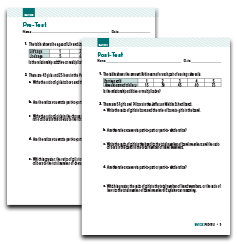 Every topic includes a Pre-Test, Post-Test, End of Topic Test, Standardized Practice Test and Performance Task. 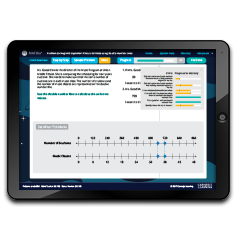 Assessment banks are available through Edulastic, a digital tool that offers technology-enhanced assessments that can be used as-is or customized. Professional Learning Designed to inspire, empower, and transform. Our Master Math Practitioners offer in-person and online implementation support, with strategieis, first-hand insights, and training designed to help teachers scale their magic and create student-centered learning environments where everyone thrives – along with MyPL’s 24/7, on-demand professional learning video library, available everywhere you go. 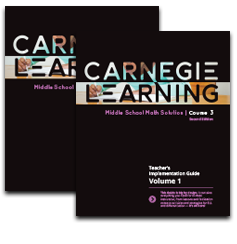 The Carnegie Learning Middle and High School Math Solutions were built to be in alignment with state and national core standards. When you see our solutions in full flight, you'll see transformation everywhere. Teachers are able to step away from the whiteboard, instigate questions, facilitate discussion, and guide collaboration. Students are invested, accountable, and confident. They feel safe enough to learn from their peers as well as form their own individual experiences, challenges and successes. They become problem solvers, critical thinkers, and curious, resilient learners, able to apply knowledge to other subjects, to other learning environments, and to the wider world around them. At Carnegie Learning, we're dedicated to transforming math learning with our forward-thinking curriculum, industry-leading professional learning, and the LONG + LIVE + MATH movement. Carnegie Learning was born 20 years ago, when cognitive and computer scientists from Carnegie Mellon University teamed up with math educators from Pittsburgh Public Schools to tackle a singular challenge: how do we make better math learning accessible to all students? Our “Engage, Develop, Demonstrate” instructional approach is designed to meet students exactly where they are and help them take ownership for their learning. Watch how putting our approach into action transforms a real-life classroom. Powered by cognitive science and research-proven instructional design, Carnegie Learning’s MATHia learning engine is so much more than practice software. Our team of Master Math Practitioners are dedicated to helping educators realize their dream classroom — one where teachers facilitate, students participate, and meaningful learning happens. Watch the video to see how this transformation became a reality for educators just like you. 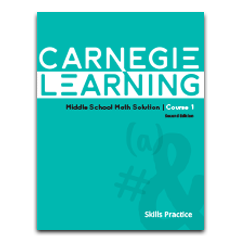 Register (if you are a new user) or Sign In (if you already have a username and password) to the Sample Center to begin your review of the complete Carnegie Learning Math Solution! 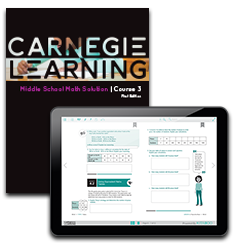 Sign In using your existing username and password (or the username and password provided to you) to gain access to Carnegie Learning's research-proven curricula for grades 6–12, including both textbooks and adaptive math learning software. Don't have a username? Register here! Submit your email address and you will receive an email with a link to reset your password. If you currently do not have a username and password, register now to gain access to Carnegie Learning's research-proven curricula for grades 6–12, including both textbooks and adaptive math learning software. Enter a valid district/school zip code above.